Trouble Finding Exactly What You Need? 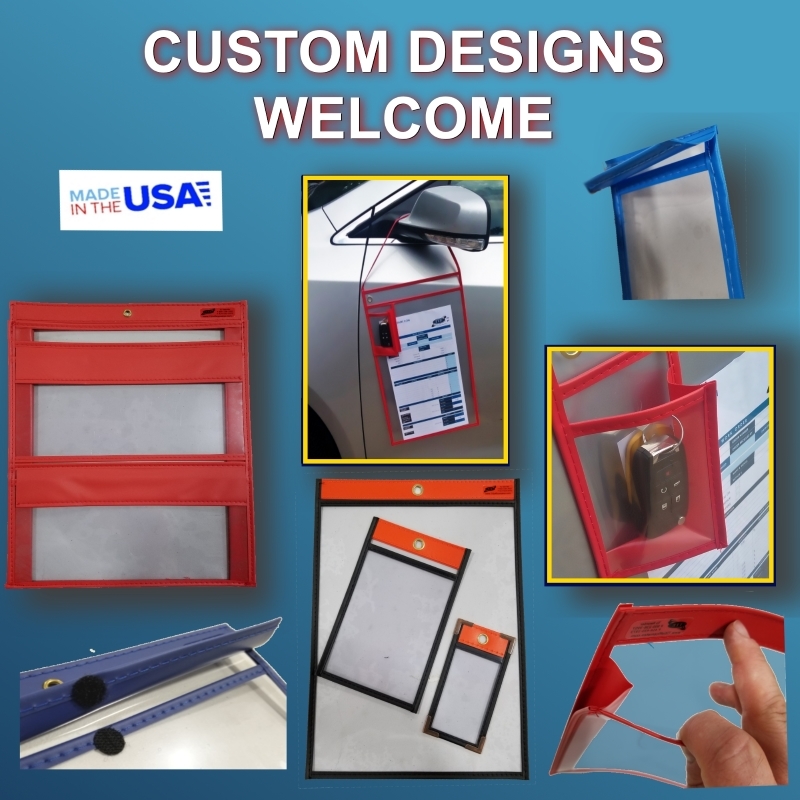 Here are just a few examples of our custom products. Add extra pockets, recloseable flaps, expandable gussets and more! Plus 16 standard colors, magnet strip or hook & loop hanging options too. TIE Officemates makes it easy to customize! Email Sales@TIEofficemates.com (or call 800-238-3957) measurements to us. We work with you to make a sample to try. Email us sketches or pictures if you already have something in mind. Once we know what you need, we can make a pre-production sample for you to try! Please note: Minimum order quantities for custom products normally apply. Usually 50 pieces or more. Contact our Customer Service Specialists at 800-238-3957 to discuss your idea and options!